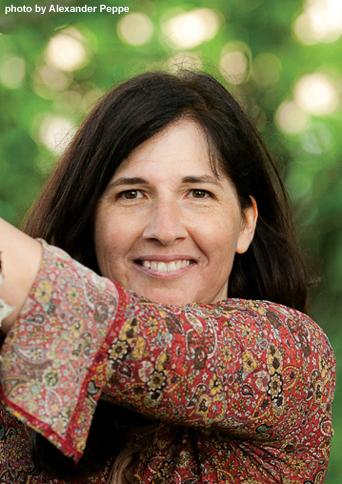 Helen Peppe, author of the poignant vegan-themed memoir “Pigs Can’t Swim” responds to her critics and discusses how difficult it was for her to grow up on a farm and watch her friends be eaten and taken to slaughter. 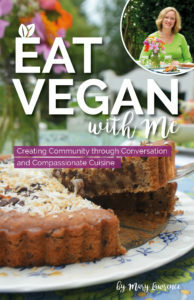 As the only vegetarian and youngest daughter in a large family, Helen’s memoir describes her coming-of-age struggles in a time when being vegetarian was unheard of. I am the youngest in my family, but no longer young unless compared to the Great Basin Bristlecone Pine or Bowhead Whale. And although I respect, admire, and feel affection for whales, I don’t want to be compared to one. When truly young, I loved mysteries. Freddy, the star of Freddy the Pig, the smallest and cleverest swine of the Bean family, was my favorite detective. I used to examine my face, hands, and arms with a magnifying glass similar to the one he held in his hoof when he solved cases. Up close, my skin was segmented and hilly, a little scary, but cool. These days I refrain from looking at any part of myself too closely, certain that the cool has departed to leave room for a whole lot of scary. Feeling the weight of middle age descend, I decided to write about my childhood, specifically the illogical and mysterious years, such as when my mother said she loved our animals, cuddled and protected them from harm and illness, cried over them, but after they grew to a certain age, she’d cart them off to slaughter and prepare them for supper. I was overwhelmed with relief that other people identified with the child-me when I had been considered a weirdo, a freak, or as one of my sisters called me, a retard, for not eating animals. But when I dug deeper into readers’ responses and asked if they were vegetarians, they acted surprised, confused by my train of thought. Some admitted they’d tried no meat for a while, but couldn’t stick with it because they didn’t have time to prepare special meals every night, one for themselves and one for their families. One man told me he’d experimented with a no-animal diet and had discovered his body was different than vegetarians. He needed hamburgers and steak to survive. Among the written reviews were several by readers who didn’t like my memoir because the farm animal scenes made them sick, and they didn’t want any of those images in their heads. These reviews were negative, one or two star ratings, with comments like, “I can’t stand to see any animal in pain,” and “Real farmers don’t just cut the heads off chickens. They do it humanely so the chicken never feels a thing.” I explained to these readers and others why “The Killing House” chapter is necessary to the arc of the story. As an aside, I asked if they had any favorite vegan recipes they’d like to share. One woman who’d been especially vehement said, “Oh, I could never be a vegan. I love cheese and bacon too much.” Another told me that she ate only organic meat from cows and chickens who lived out happy lives free range in backyards. I should have been prepared for these mysterious and nonsensical responses to Pigs Can’t Swim because lack of reason and everything else logical is the crux of my memoir. It’s even in my title. Pigs are excellent swimmers. Where I grew up, at the bottom of the family, I could see that the moose, deer, cows, pigs, sheep, rabbits, and chickens desperately wanted to keep their lives just as all waitresses make it evident from their first cheery hello that they want to keep as much of your bill’s change as possible. My father, forgetting that he was an animal, often claimed that animals cannot think or feel and are made to be eaten. And there is the first bit of mystery that requires solving. If animals are meant to be slaughtered, why don’t they walk amiably, cooperatively, as opposed to being wrestled, to the chopping block? Why do they seem to have no natural instinct or leanings toward having their heads chopped off or their throats slit? Why do they scream in terror? Rage? The top of the food chain argument my father, and later others, gave me is as mindless as the gristle I watch people chew on, their lips and chin shiny with it, when they espouse the evils of being fat. Even I knew by age four or five when in bed alone or outside at night in the black dark that was our world, that there were uncountable things that could get me. I was prey. From Pigs Can’t Swim: I looked at the pile of decapitated bodies and thought of the stump in the woods and the heads around it, the expressions not of surprise, but fear, eyes wide open. What was the last thing they’d seen, part of a tree, grass, the axe, the next chicken in line? Did two of them remember their short baby chickhood where they’d been petted and loved? Did their brains show them pictures of a particular moment, pictures of the past and present? A future? I’d watched dogs, horses and pigs dream, their legs trotting in their sleep, their eyelids fluttering as they whined or grunted. Did chickens dream, too? I looked at the pile of decapitated bodies and knew I would not eat any of them, knew I would never eat any animal again because how could I eat anything that could enjoy attention or who might have dreams of her own? In contrast, humans are meant to procreate like bonobos. There is no mystery there whatsoever, but I noticed continually as a child that whenever my siblings let their bodies do what they were meant to do, both parents ranted and raged in the classic knowing-right-from- wrong argument. The meant-excuse seemed to work selectively based on their own sensibilities such as my parents were fine with milking our shorthorn heifers, but were disgusted and repulsed by women who breastfed their babies. An advantage of being the youngest is that by the age of twelve I’d learned from listening to my mother scream at my sisters about what she’d caught them doing with boys, that I had a choice regarding what went into my mouth, my body. I didn’t consider my health, although I gagged if people tried to feed me my friends from the backyard. If I had, I probably wouldn’t have stuffed white sugar into rolled lettuce leafs. I’m not even sure if nutritionists had begun to understand the risks of eating meat and dairy. Observing the deaths of so many animals, animals who enjoyed playing in the pastures and pens with their lambs, calves, and piglets, I wanted to protect them, to save their lives. I yearned for them to be able to die from old age. One of my father’s favorite lunches was cow tongue sandwiches. I wonder if he ever realized the irony that all those tongues he ate were made, were meant, so the steer could eat and communicate for survival. My father loved livers, gizzards, and hearts, all meant to keep their owners alive. I knew it wasn’t just my family. I could see the animals’dead eyes behind the school cafeteria lunches and at cookouts with aunts, uncles, and cousins. Every grocery store newspaper insert had photographs of raw meat and sale prices, often with descriptors like “veal cutlets”and “baby back ribs.” When I waited in the slaughter house, staring up at halves of skinned cows and pigs that hung by giant hooks, as if they were a type of macabre land fish, I knew they were taken from someone else’s pasture for someone else to eat. Back in the late 1970s and early 80s, most people believed I would languish and die or be stunted without at least some daily animal protein. My father still says no one can survive without meat. He says this looking past me as if I am invisible, just like when I was a child telling him that it was wrong to pluck the dead chickens in front of the live ones, that I couldn’t breathe from the stink of it, that I’d throw up. “What else are you supposed to do with them?”he says, continuing 50 years later his meant-for line of thinking. It’s taken me a while to understand why some people, my father, various Pigs Can’t Swim readers, need to believe that non-animal eaters are defying the norm, what’s meant to be. If they don’t, then they have to begin to examine what they are actually eating and doing, which requires using the magnifying glass on themselves, and few people are ever, if ever, prepared for that level of defined scariness. 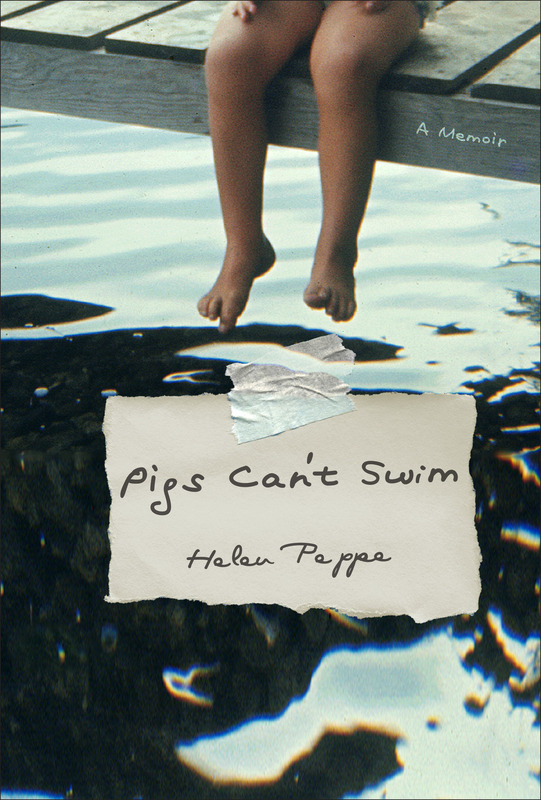 Pigs Can’t Swim is available at independent bookstores, Barnes and Noble, and Amazon. Helen Peppe, writer and photographer, lives near Portland, Maine, with her two children, four dogs, eight rescued rabbits, four guinea pigs, and two destructive kittens.